Simple canker sores: These kinds of canker sores are usually seen in children between the ages of 10-20. They may occur at least 3-4 times a year. But, this may not long last and will disappear within a week. Complex canker sores: This is a less commonly seen condition and occurs in people who already had it before. The cause of canker sores may not be the same in every individual. Sometimes, it may be from the food they eat, can be the drinks of high acidity etc. 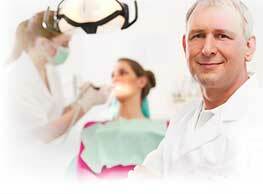 Use of sharp instruments like dentures, braces, etc. may also cause canker sores. Apart from these, nutritional problems, gastrointestinal tract diseases, deficiency of zinc, folic acid or iron etc. can also be the cause for developing canker sores. Many people get confused with cold sores and canker sores. People consider them as the same. In fact, they are different. Cold sores develop as a result of fever blisters or cold or herpes (simplex type 1). Cold sores are painful and fluid filled. Both cold sores and canker sores develop due to virus and both are contagious. Canker sores appear on the roof of the mouth whereas; cold sores appear on the surface of the face such as the chin, around the lips and under the nose. Round white or grey sores. Avoiding citrus juices, acidic contented vegetables, spicy foods etc. Sores that do not subside etc.